The Collio is a vast hilly region located in the extreme part of the Friuli flat land, where there are gentle slopes of vineyards, vast forests and small villages. 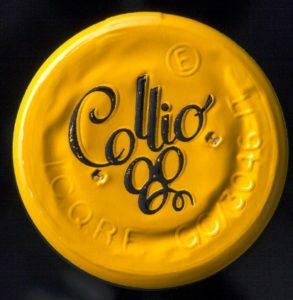 Recognized as one of the most prestigious areas of Italy and the world for wine production and especially for the high quality of its unique and unforgettable white wines, the Collio is a precious gem in the world of wine. Paradise for connoisseurs from all over the world, who love wines that are always different in their composition and for this so desired, as a faithful reflection of the hand of the winemaker. The Collio is strategically located, surrounded to the north by the Julian Alps and the Slovenian mountains, and to the south far less than 40 km from the Adriatic Sea. The Bora that runs through the Vipava Valley and the air currents that run through the area of Cividale affect the viticulture in this area, ensuring fairly cool temperatures and low humidity for most of the year, while the proximity to the sea makes that the climate is mild during the winter and that wines are characterized by freshness and flavor. The hills of Collio consist of stratified soils of marl and sandstone and marine sediments, which tend to crumble due to the rain and heat (stratification of the soil is called “flysch”). The soil is the so-called “ponca”, typical of the eastern Friuli, dating back to the Eocene epoch and of marine origin, it’s the result of a slow sedimentation and consists of marl (calcareous clay) and sandstone (calcified sand).